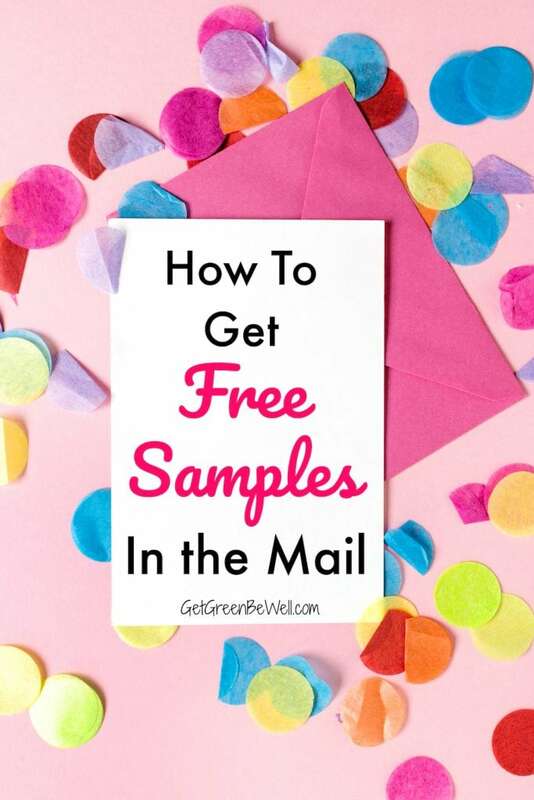 Want absolutely free samples of natural foods and cosmetics? Seriously, FREE! And you don’t have to pay shipping fees, subscribe with your credit card, or any other hidden gimmicks. Where does this magic come from? The Daily Goodie Box! I have been sent a Daily Goodie Box to review a few times. The Daily Goodie Boxes were sent free for me, but it would be free for you, too! All you need to do is promise to give feedback on the items sent. That’s right! Free stuff in exchange for your comments. And some of the free products aren’t just sample sizes. They are FULL SIZE products! I was a little doubtful on how healthy the products would be inside. After all, I don’t believe most companies when they say that their product is healthy until I see ingredients and decide for myself. Since I’ve signed up in January 2017, I have received three Daily Goodie Box shipments. They are definitely not something that you will get every month unless you earn points. I’ll be honest. A lot of people sign up. And a lot of people complain that they never get a box. At least that’s the chatter on Daily Goodie Box’s Facebook page. 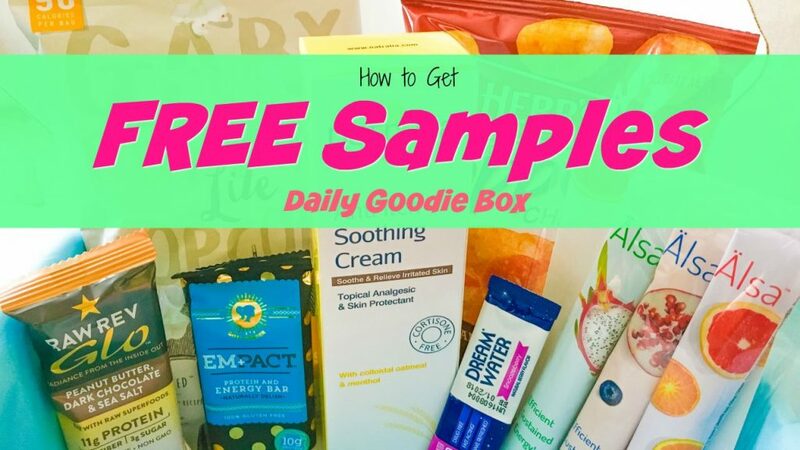 Daily Goodie Box will also send you emails (very few emails, actually) on how to sign up for other programs that will also give you free samples or pay you to review samples. Plus, there seems to be a bit of competition involved in getting a Daily Goodie Box. Free boxes are sent to those who are involved in their Facebook group and comment on posts with a hashtag. So will you get more than one Daily Goodie Box if you sign up? Who knows? I do know that Daily Goodie Box loves bloggers and influencers, so the more love you show them on YouTube, social media channels and your blog, the greater the chance you’ll have of scoring a Daily Goodie Box in the mail. What Do You Get in a Daily Goodie Box? My latest Daily Goodie Box was sent in September 2018. Because I didn’t know it was coming – and my address had changed – it was sent to the wrong address. I got the items to review when my family flew down to see me, but they had to take them out of the box to get the stuff in a suitcase. So, alas, no unboxing video for the September 2018 Daily Goodie Box review. Procosmet – MTJ Most Rich Mascara. I actually really liked this mascara! And it was a full size tube. Sir Kensington’s Chipotle Mayonnaise – I like this brand anyway, and was thrilled to get a full size bottle in the mail for free! Fire & Flavor Seafood Rub Spice Blend – Again, a full size bottle of spices for free! Minute Mixology – Cocktail Mixers Margarita – I never knew something like this existed! I’m thrilled to try this brand soon! Neuro Gum for Energy, Clarity and Focus – We didn’t notice much improvement, but it’s good tasting. Bubba’s Fine Foods Blazzing Buffalo ‘Nana Chips – Weirdly intriguing and disgusting. I wouldn’t buy them again. But I can see how some people would like the weird flavor combo. Watch my unboxing video of my Daily Goodie Box review to see everything that came inside the January 2017 box. Here’s some of what to expect inside a Daily Goodie Box. This was January 2017’s box. Don’t expect these samples to be the same for other months. I wouldn’t say that the products were all organic. I’m not sure if any of them are. But they are all better-for-you products made with ingredients you can pronounce and know what they are. 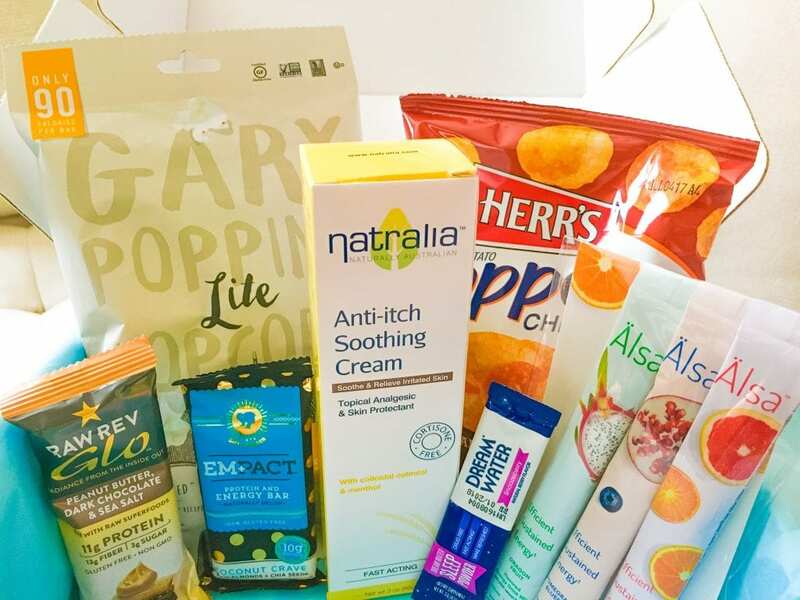 There are very few ways to sample free natural and organic products, so the Daily Goodie Box is actually a pretty great way to find new brands! 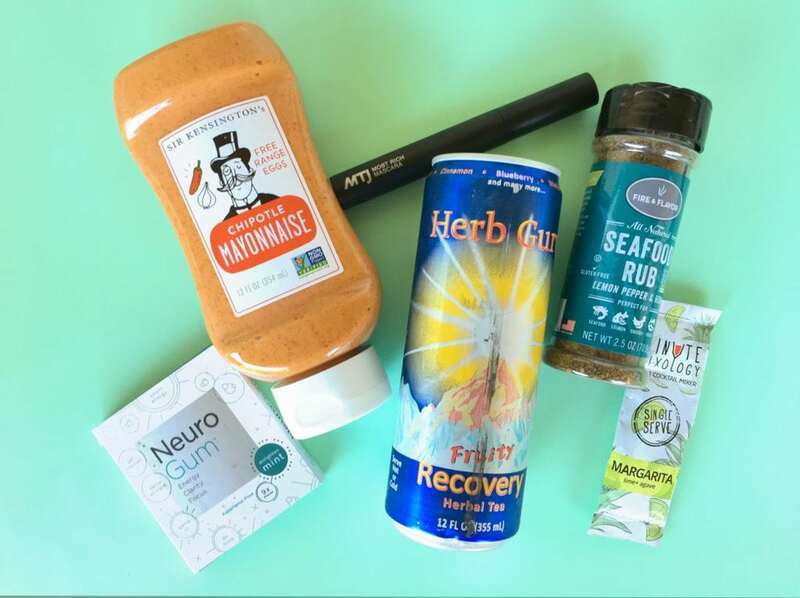 These healthy subscription boxes also let you try great natural brands for less! Overall, I was pleasantly surprised by the free samples inside Daily Goodie Box. Some were not what I would choose, normally – such as the chips. 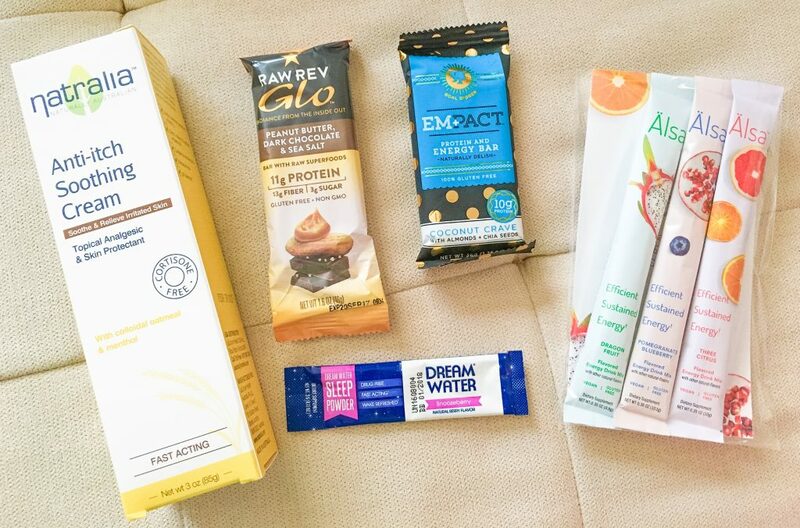 Others I was really impressed with, including the Raw Rev Glo and EmPact protein bars, Alsa water flavoring and Dream Water sleep powder. 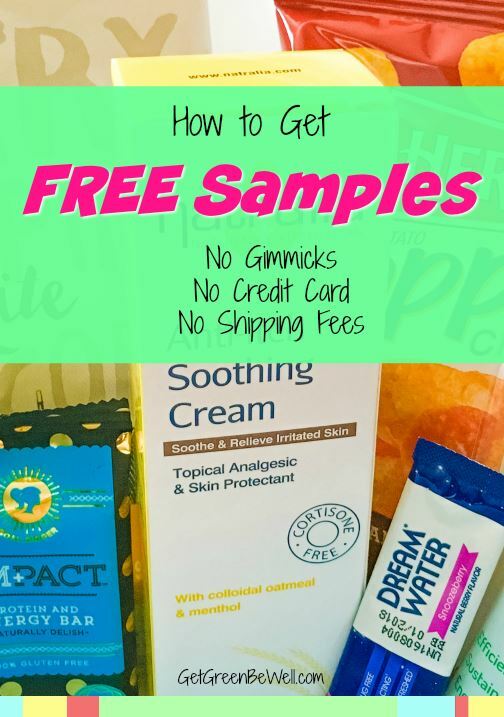 PLUS – what about that free full size bottle of Natralia Anti-itch Soothing Cream?!? Other month’s have included Justin’s nut butter, Smarty Pants, Beanitos, Just Mayo and other brands that I use. So would I suggest that you sign up for a free sample box of healthy goodies from Daily Goodie Box? Yes! The products are from companies that I like already, or ones that I’m interested in finding out more. Will you be getting free stuff in the mail all of the time? Unlikely. But you never know. 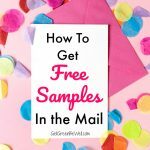 ***Did you know that Amazon offers Sample Boxes to their Prime members, too? You’ve got to pay a token amount, but you get the money back as credit towards a purchase. So it’s almost like getting it for no cost! Hope you get some great ones!